This is this year our last meeting in Venetian, next year we come back. PP David updates us on our club’s website. We have a great meeting with old fellowship with jokes by PP Ip and PE Elvo , great laughter . A happy thanks giving with PP’s Maneiras, Peter Kok, Ip Pui Fai,Stella Jan,Choi Sai Hong, Fred Palmer, David Shelton Smith, Synthia Paiva, and Rtn’s Ricardo Martins, Yasmin Chan and Marc Verneuve. 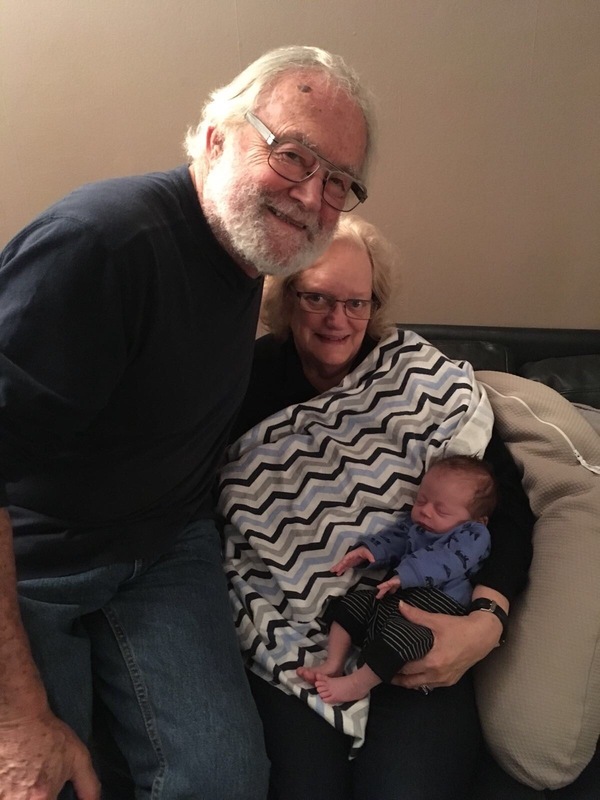 Congratulations to PP Keith for being promoted to grand father and so joined the Grannies Club with a new French grand son James Keith Rigout. 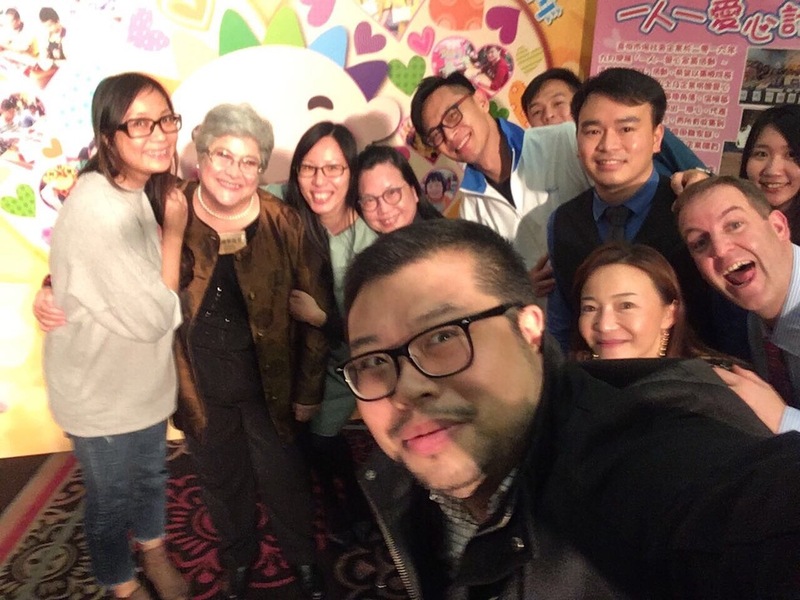 Anniversaries to attend No/20 – our club divided to attend Sand’s 10th anniversary celebration and Fu Hong’s 14th anniversary dinner both at same day. And let me tell you that someone eats Chinese food for the first time and enjoy it at Fu Hong’s dinner. Nov/24 – Meeting with IACM( Institute for Civic and Municipal Affairs) with the Director Mr. Tavares and his board. Joined myself,PP Stella,PP Choi, PP Synthia, PE Elvo and PPE chair Marc. 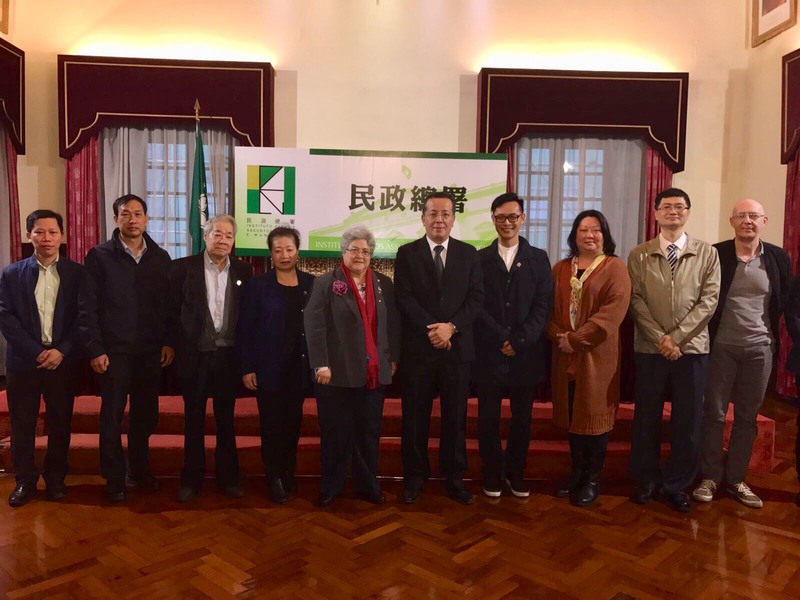 Finish the meeting we have now a project to renovate our Rotary bus stop and possible building new ones ( one in Taipa and another in Coloane ). Nov/24 – Our club received the Excellence Award on Non-Profit Organization from Business Award of Macau 2017. Salute to all Rotarians, Rotaractors and Service Partners for contributing to this wonderful recognition of our doing good in Macau, serving the community for 70 years and continuing. 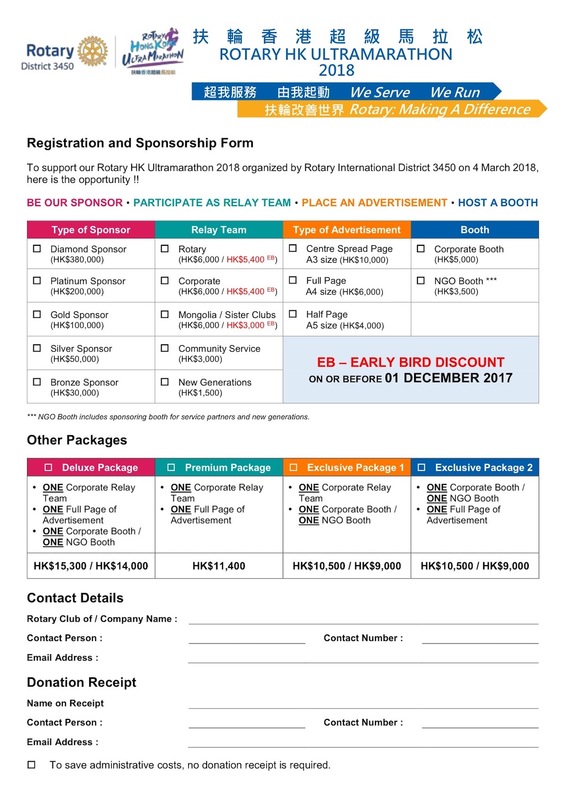 I am a proud member and a proud President of Rotary Club of Macau. 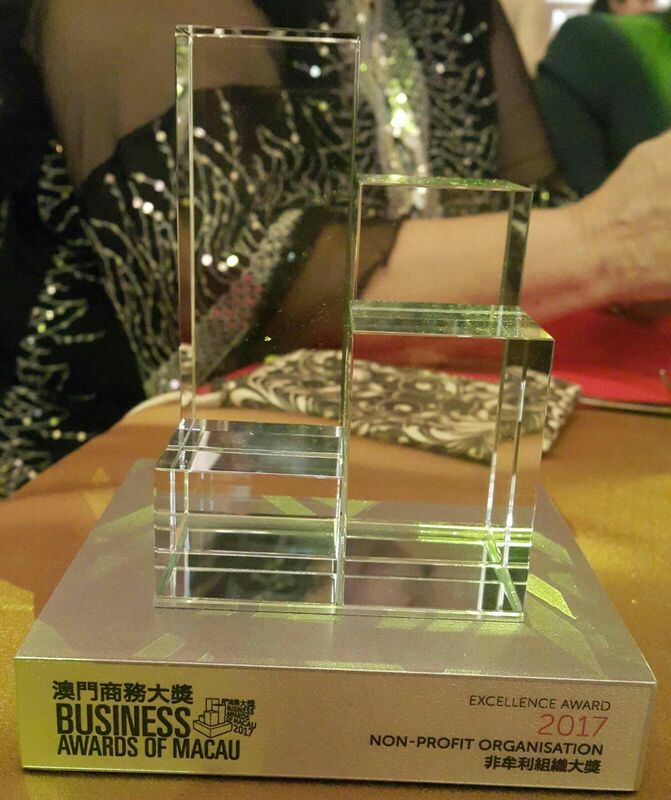 Happy and proud again because the Fu Hóng Society of Macau receive the same award – Excellence Award on Non-Profit Organization from Business Award if Macau 2017. Last Sunday Nov/25 – 2nd Grannies Tour. A very successful community service serving all together 110 from Labour Association, Caritas and Obra das Mães. We had myself, PP’s Stella, Synthia, Peter Kok and his half Assunta, Rtn’s Ignacio and Margaret, Rotaractors Mathew and others 10 joined hands to make this event a successful one. 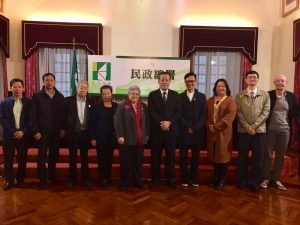 We took them in 3 cars around the University of Macau where we met 6 university ambassador showing around and time to a group photo. Then a bus tour of the Cotai Strip and a Portuguese lunch st Panda Restaurant. After lunch Rotaractors played games with the Grannies. The happiest moment before we depart to Macau Tower to have afternoon tea with Portuguese tart was when we presented them with a box of cookies and a gift with white flower oil, a towel and a Rotary thermo cup. A special thanks to our Rtn Lei Loi Tak who sponsor all the cookies. You may see from the attached photos how happy they were. 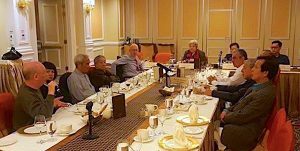 Some elderly did not have any contact with Rotary before and in chinese sounds to them wheel chair and they wonder what this type the association has to do with them they are not in wheel chair. And they comment that we did more then their sons or daughter because they take them out to a meal and take back home, we took to a tour,a meal, games, tea with tart and going back home with a souvenir. They will remember and hope to have a chance next year. Thanks to each and everyone of you for your service above self contribution . Hope you enjoy reading and appreciate the photos.